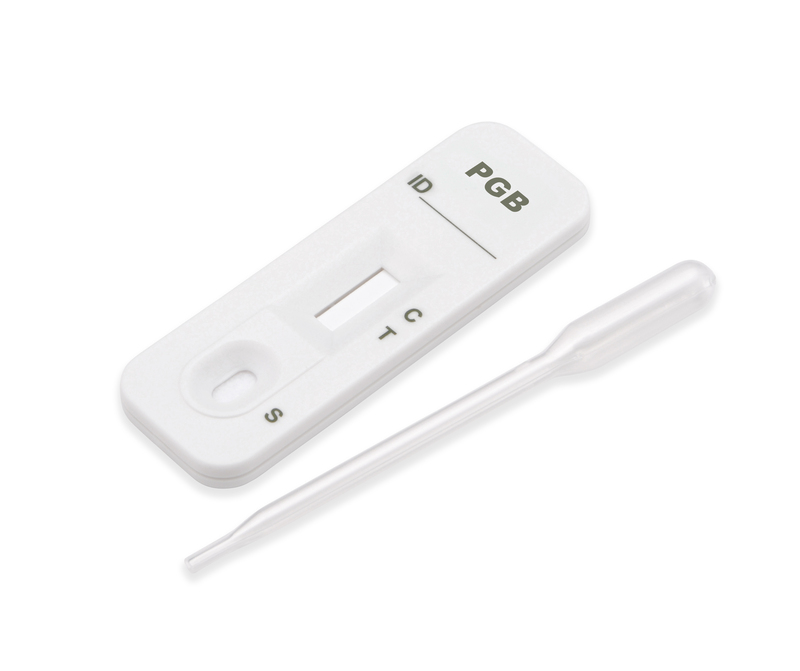 The Single Urine Cassette Test is an economical, fast and accurate way of testing for one drug at a time. The product is easy to use and results can be read at 5 minutes. Pregabalin (Lyrica) is a medication primarily used for epilepsy, neuropathic pain, and fibromyalgia. Its use for epilepsy is as an add-on therapy for partial seizures with or without secondary generalization in adults. It is also considered useful for generalized anxiety disorder. Pregabalin is a lipophilic structural analogue of γ-Aminobutyric acid (GABA) and classified as a depressant by the Drug Enforcement Agency. It is a neurotransmitter modulator that has analgesic, anticonvulsant, anxiolytic, and sleep-modulating properties. Pregabalin is a potent gabapentinoid and a close structural analogue of GABOB (β-hydroxy-GABA), baclofen (β-(4-chlorophenyl)-GABA),and phenibut (β-phenyl-GABA). Common side effects include: sleepiness, confusion, trouble with memory, poor coordination, dry mouth, problem with vision, and weight gain. Potentially serious side effects.